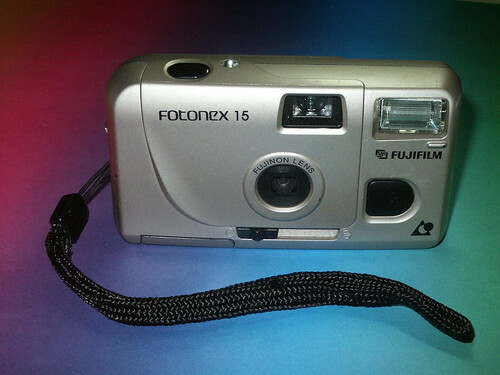 The Fujifilm Fotonex 15 is a simple point-and-shoot viewfinder camera for APS-film. It has an in-built automatic flash and a Fujinon lens with fixed focal length. It has no display, just a small mechanical exposure counter. Its only APS extra is the 1-of-3 formats preselection switch. Therefore the bright-frame finder has markings for all APS print formats. The camera was designed in Japan and made in Indonesia.